One of the delights of living here in the Northern Mines area is that history just oozes everywhere. 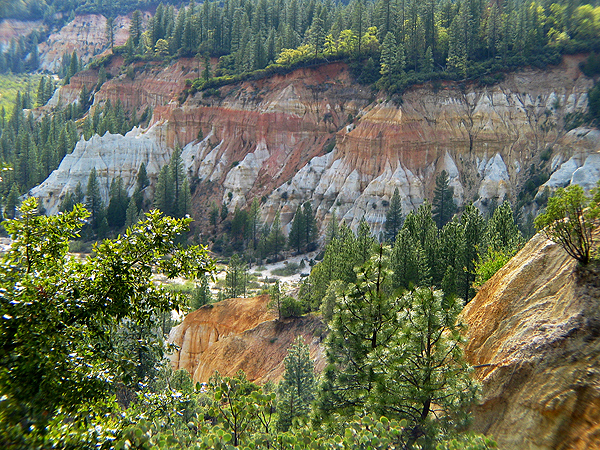 One of the least visited California State Parks is not more than twenty five miles from Nevada City. It’s a shame really that it is seems just too inconvenient for visitors to travel a few miles; they are surely missing a true jewel in the foothills. The State of California, in its current budget crisis, has seen to put this beautiful place on a closure list. After Labor Day only care taking will be done. The park really has two major attractions: the remains of Malakoff hydraulic mine and the preserved town of North Bloomfield. No matter what you may think of mining as an enterprise, the eroded cliffs of Malakoff are a photographer’s delight. A trip early in the morning or in late afternoon will yield superb images. The dark side of all of this is that the process of hydraulic mining caused thousands upon thousands of tons of silt to wash down into the Sacramento Valley where farmlands became inundated and the level of rivers rose dramatically. 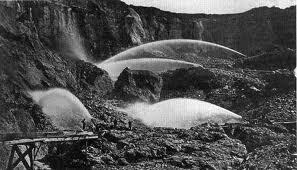 Eventually in 1886 the courts effectively put an end to practice by requiring that no debris was to released from the mines into the water system. The Malakoff mine (North Bloomfield Gravel Mining Company) however continued with some modifications until 1900 when expenses, primarily to control the debris and satisfy the government, finally outdid profits. The second jewel in the park is the town of North Bloomfield, which was the home at one time of two thousand miners and their families. Settled in 1852, it was originally named Humbug after the creek of the same name. Today there are a few families living here and the town is nicely preserved. Camping is available in park and there are reconstructed miners’ cabins available to rent. If there are rangers on duty then tours of some of the building can be taken. Occasionally a large monitor (water cannon) is demonstrated. 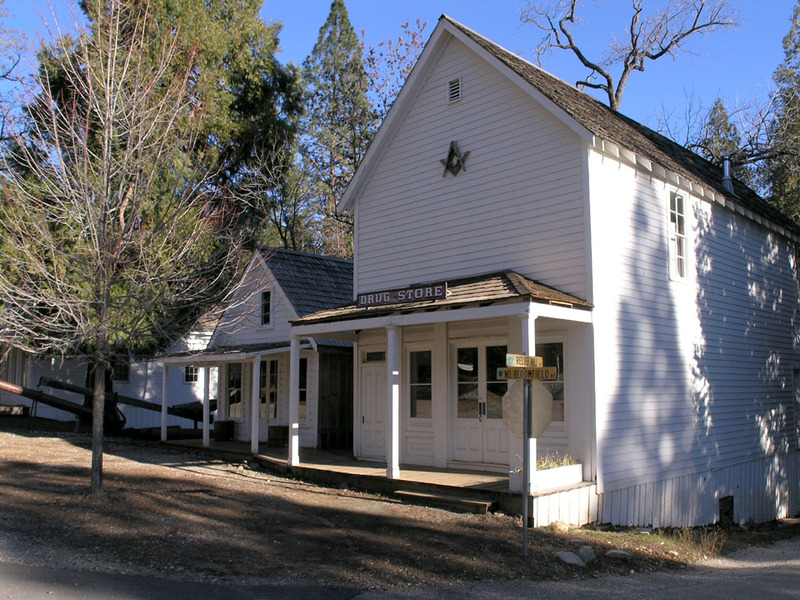 Although some sites recommend staying on the paved road (Hwy 49 from Nevada City to Tyler-Foote Road) I find the “back door” from Nevada City on North Bloomfield Road to be more interesting by far. It’s a little rough but any car should be able to manage it easily. There is no store in the town but one can be found about ten miles away. To take action and learn more go here. This entry was posted in Sierra Nevada History and tagged Sierra Nevada. Bookmark the permalink.